Now that BlackBerry is no longer a phone manufacturer, but rather a brand leveraging its software, the company’s devices are still recognizable. But are they desirable? The Motion hones in on the mid-range pack, trying to stand out, yet again. This is the second device manufactured by TCL, which also makes its own phones under the Alcatel brand. It first announced its licensing deal with BlackBerry in January, culminating in the KEYone, a retro-looking handset with a physical keyboard. That was clearly aimed at users who wanted to punch away at real keys, limiting its wider appeal. The Motion is a touch-only affair, coming at a lower price point, and with the software suite that is supposed to make Android-based BlackBerrys uniquely suited to privacy, security and productivity. Whatever the agreement clauses between TCL and BlackBerry, the Motion continues the solid effort behind the KEYone. It’s tastefully designed, and built to endure. 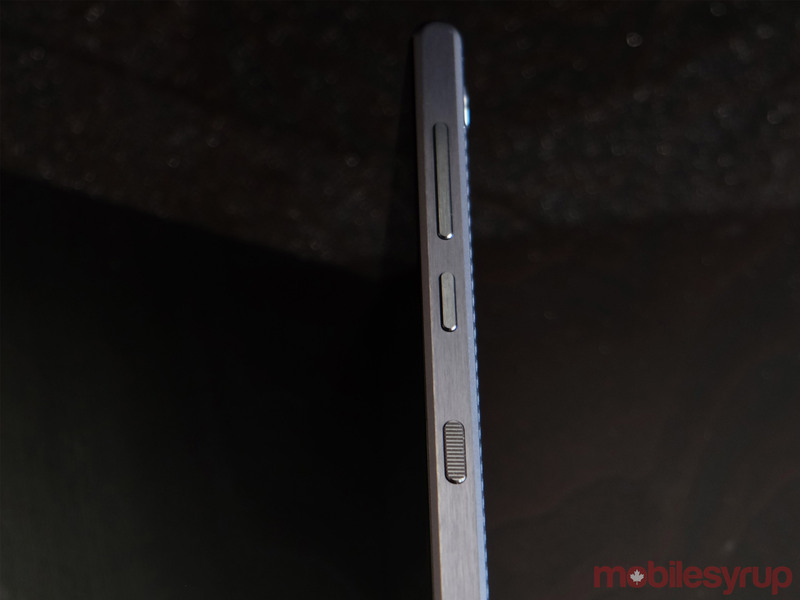 Aluminum edges flank the two panels all around, with a rubberized back that improves grip. It’s a cross between the textured backs used on the Priv and DTEK50. The industry’s drive to shave bezels down as much as possible makes those surrounding the phone’s 5.5-inch IPS display (1920 x 1080 pixels) stand out more. To put it in perspective, the bezels take up 30 per cent of the panel. There’s nothing particularly unusual about that for a mid-range handset, especially since it’s not all that different from something in the premium category, like the iPhone 8 Plus. Despite that, BlackBerry has touted the screen’s durability, claiming it to be 25 per cent more scratch-resistant than Gorilla Glass 5, which is commonly found on phones now. A fingerprint sensor is embedded in the physical home button below. It responds reasonably well, though I found the KEYone to be a tad faster, despite that device embedding it in the space bar. Swiping down lowers the notification pane, with another swipe down revealing the settings shortcuts. Some of the other physical traits stay consistent. There is a headphone jack, plus a USB-C charging port. The power and volume buttons are joined by the Convenience Key, a feature going back to the DTEK50 last year. The SIM card slot can also handle microSD cards up to 256GB to further expand on the phone’s very modest 32GB of internal storage. Running on the octa-core Snapdragon 625 gives the Motion decent chipset performance, though nothing to get overly excited about. Working with 4GB of RAM is a nice compromise, given the positive impact on multitasking. Unlike the KEYone, the Motion is IP67-rated for water and dust resistance, meaning you can use it in water down to one metre for up to 30 minutes. It’s not exactly something you would always use in the pool, but you have peace of mind that an accidental dip or exposure to rain won’t irreversibly damage it. That the Motion runs on Android 7.1 Nougat out of the box was actually a disappointment for me. I’m well aware that BlackBerry is on the ball with monthly security updates, but am left wondering about system updates. An upgrade to 8.0 Oreo has already been confirmed in an interview with MobileSyrup. What about beyond that? Assuming there is an impetus to draw in more of Android’s evolution over time, the Motion automatically becomes a more interesting prospect. Time will tell on that front. 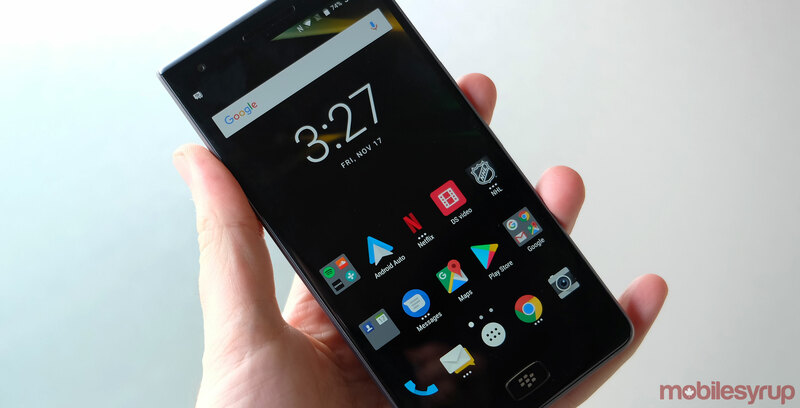 Since embracing Android, BlackBerry has tried to make the case that it has a leg up on securing an operating system it otherwise has no control over. The company’s commitment to security patches is more than admirable, considering the rampant negligence from others post-launch, except it’s hard to connect the dots for those who aren’t in the know. The DTEK app is back, providing insight into the Motion’s overall security posture. 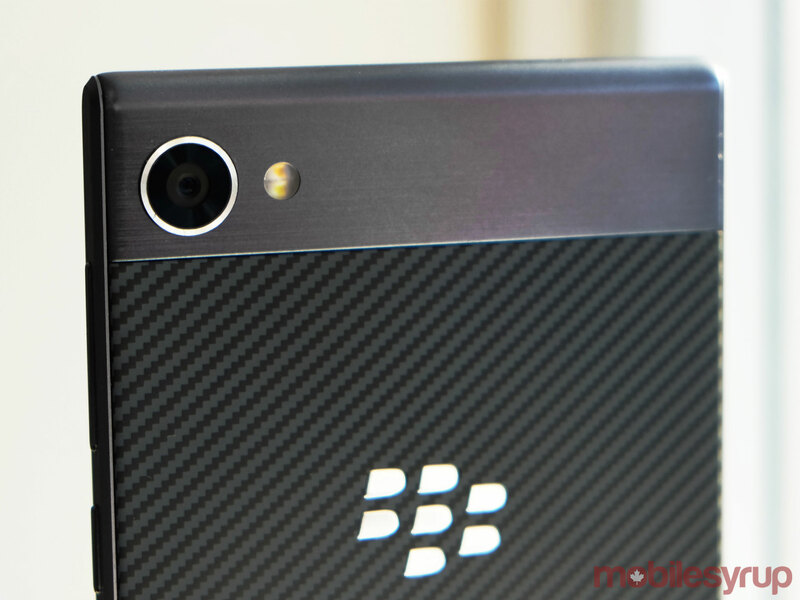 It functions like it has on previous BlackBerry Android devices, so no real surprises there. I don’t want to go off-track by diving into the company’s marketing strategies, but it would probably behoove them to cast a spotlight on their own apps. The productivity story doesn’t begin and end with the company’s logo or brand, yet I wonder how many Android users are even aware BlackBerry apps are available through Google Play. The Motion, in effect, is the messenger. With the Hub+ suite and services pre-installed, the stage is already set. I have yet to see something as robust as this for messaging and communication on Android. Rather than opening various apps to stay in touch, texts and emails can populate in one interface. They could be easily separated too. Unfortunately, it’s still not as deep as its BB10 counterpart, which is capable of integrating social media messaging accounts as well. Despite that, notifications from WhatsApp, Twitter, Facebook, LinkedIn, Slack and Instagram can run through the Hub, thereby keeping you in the loop in the same space. 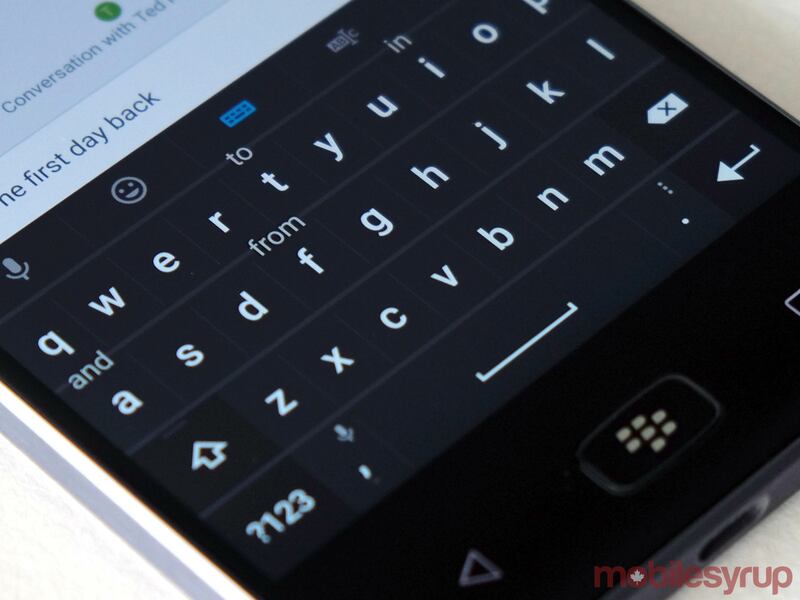 I’ve long wanted BlackBerry to make the onscreen keyboard available on Google Play. Do a search on any Android device, and almost two dozen apps appear. There’s just no keyboard. I appreciate how accurate it is, as well as how the supporting features make it useful. The cursor d-pad and clipboard are two examples, making it much easier to highlight, edit or copy text in any app. Predictive text is still excellent, though I wish BlackBerry would allow for some customization to expand the frets a little. Larger displays like the Motion’s should make this easier to do. Again, with productivity and communication being the focuses here, not all apps are necessarily preloaded. Docs To Go, Tasks and Notes are three that come to mind. Microsoft Office integration and customizable methods for creating new tasks or notes with privacy in mind, they may be a worthwhile addition to the current suite, depending on what your needs are. 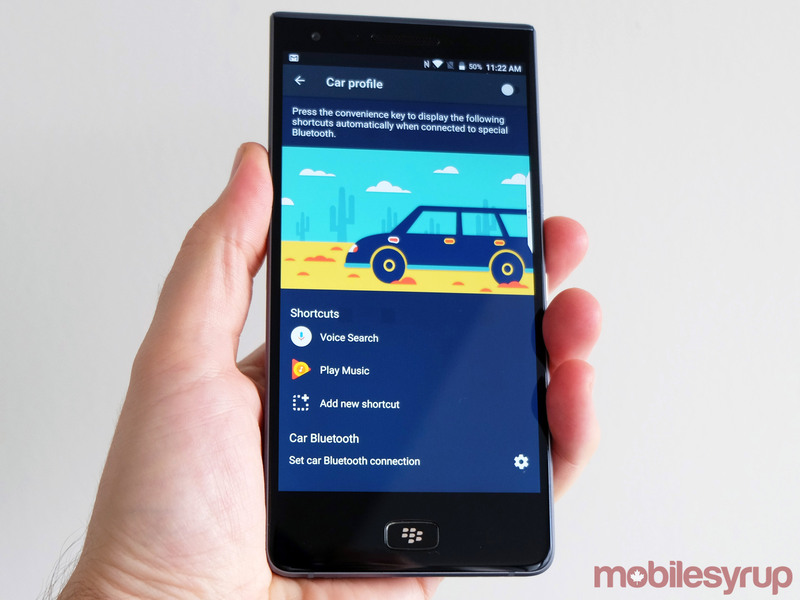 Orienting apps to business use cases is par for the course for anything adorning a BlackBerry logo, and that’s why the Productivity Tab and Convenience Key are given some priority. I’ve never been fully sold on the former of the two, but will concede the quick information the tab displays can be convenient. It’s just that little is actionable. If I want to add a calendar entry or contact, it’s merely a stepping stone to the corresponding app. I could just as easily launch the app needed from the launcher in the same amount of time. The Convenience Key is more robust, in my opinion. It can be mapped to a wide array of different shortcuts, and it was genius to separate it into profiles. Home, Meeting and Car are the defaults, allowing you to map up to three shortcuts for each one. This proved a real benefit in the car, where I was able to do a voice search or launch Google Maps with a simple press. Even with the Home profile, I used it as a shortcut to launch the camera or Sonos. What I liked about this approach was that it’s entirely agnostic. It isn’t pushing forward a business focus. It’s open enough to mix it up between work and personal needs. Having seen what the KEYone’s camera could do, I wasn’t overly optimistic about the Motion’s 12MP rear camera performance. My concerns were mostly well-founded, as this phone is every bit a mid-range shooter. It’s capable of producing decent photos, but good lighting plays a big role. Manual controls, which need to be toggled on under the camera settings, can certainly help the cause, lending a helping hand to extract more out of a scene. Even when deployed, the Motion takes decent photos, but nothing I would consider remarkable. Some of what’s been included carries value in other ways. For instance, the Scanner mode can snap a photo of a business card and load the information to create a new contact. Locker was on by default, and it required that touch the fingerprint sensor before taking a photo or video. Viewing the images afterward also required a fingerprint. Pretty good for a sense of security in not revealing anything compromising, I suppose. I did like that BlackBerry offered 4K video recording, including at 24fps for the motion picture effect. Results were okay, but nothing to get overly excited about. Anytime a phone has a 4,000mAh battery inside, it should last a long time between charges. The Motion is one of them, letting me roll right past a full day without having to charge until the following day or night. On very light usage over a three-day span, the phone still had 20 per cent left. Quick Charge is able to hit 50 per cent charge in about 40 minutes, getting you back up and running in a short time. The Battery section under settings tells the wider story, indicating which apps or processes take up the most juice. Turning on Battery Saver can stretch out a charge for a longer period, which may come in handy in a real pinch. With such impressive battery life, though, I don’t see those situations popping up too often, at least for the first 12 to 18 months of owning the unit. Does that mean it’s only for business users? Not necessarily, but that’s who would benefit most. Whether you’re a high-paid executive or running a small business, the Motion doesn’t discriminate either way. At $599.99 outright, it comes off as a bargain compared to the likes of the $1,000-plus iPhone X, Google Pixel 2 and Samsung Galaxy Note 8. True, it’s not exactly apples to oranges, but competition is arguably tighter in the mid-range space where more vendors partake. 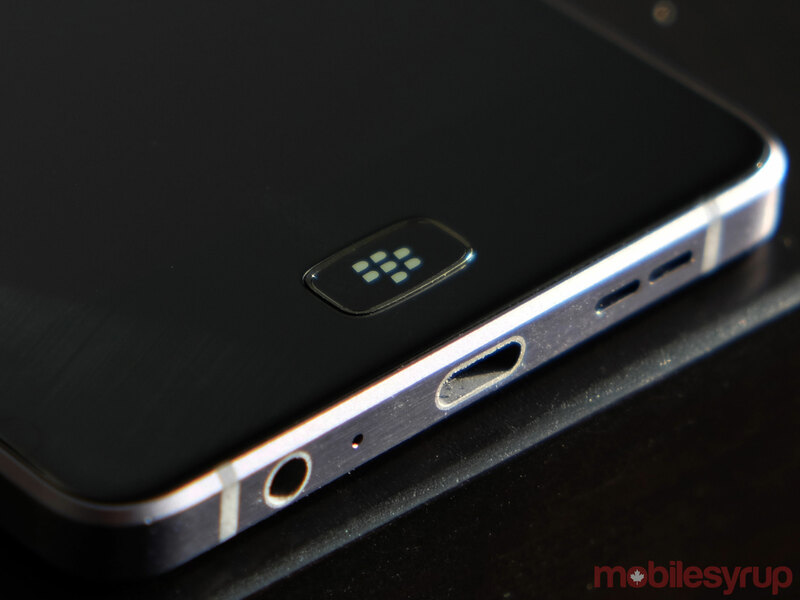 BlackBerry sticks to its niche, only needs to make more noise to stand out. "The Motion fits within the parameters BlackBerry set for it"